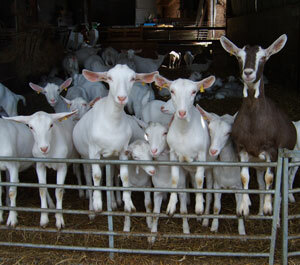 I purchased some of your "Aspire" goats cheese on my visit to Ightam Mote several weeks ago and I am just taken aback by the flavour. Have taken a little while to track you down. I cannot wait to visit Blackheath to restock and try some of your other cheeses. The "Aspire" was just wonderful. Have never felt so strong to congratulate on such a wonderful product. I was in Chichester on Friday. Think I first got some from the market at Fareham a little while ago. I do like the stronger cheeses. I love Aspire and the Black Jack. Always on the lookout for your stall. There are very few times I feel the need to express my feelings on any product. However this is one. After trying your cheese a few months ago, I find I cannot just walk past your stall whenever I happen to see it. The quality and taste are second to none in my opinion . You should all be very proud about the cheese you produce. I am looking forward to getting my next fix of your GREAT cheese ! Packed full of vitamins and full of flavour! I was at the Wild Food Market in Brook Green last Saturday and I have to tell you that your trader Paul is excellent as is your goats cheese, in particular, the lemon pepper log. It was delicious and one way or another I've had some of your cheese everyday since, my waist line probably won't thank me later on but it's been worth it. flavours of your goats cheeses. The County Show was how I found out about you. You will most definitely have a loyal and frequent customer. Please send me some brochures for me to hand out. Hello, I haven’t seen you at Tunbridge Wells farmers market for a few weeks maybe due to summer holidays? I’m hoping you’ll be back there soon as I’m missing your delicious goats cheese. I bought some of your delicious goat cheese at the Ripleys Farmers Market several months ago. I seemed to have missed you at the last two markets. Can you tell me if you will be attending Ripley again soon and if not, where else might I be able to purchase your cheese?